I love when someone shows me a different way to approach a bit of scripture that I've always read in one particular way. That happened at church this past Sunday. The reading was from Mark - the story of the rich man who comes to Jesus and asks how he can have everlasting life. At the end of the passage, Jesus says that "many who are first will be last and the last will be first." (This is also quoted in Matthew, by the way, and more than once in Mark). I've always read that to mean that those who struggle but still follow Christ will one day be head of the line, leader of the pack, receiving the gracious gifts of God before others. 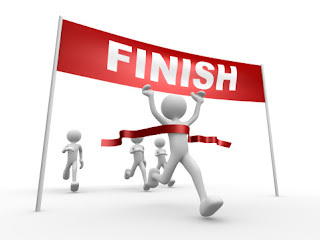 As if life is a race with a finish line at the end. When I think about it that way now... it really goes against what I believe. But I never thought about it deeply. There is a human gratification in the idea that those who are first - people that I imagine to be on that high horse, putting themselves above others - will get knocked down a few pegs. And that those who have struggled will finally know what it means to be up a few levels. But I don't really believe there are levels in God's eyes. So why would I believe that scripture to be read that way? "If you are currently feeling like you are last... don't give up hope. Reach out. Ask for help. And if you are someone who is in a place where you are stronger, where you are first - share that strength." Those who are last can reach out to those who are first right now. And those who are first can reach out to those who are last. Right now. This isn't just an afterlife thing. This isn't just a "someday in heaven" thing. And who says that once you're last, you're always last? And once you're first, you stay up in front? I took a far more literal approach to that scripture than what my heart really feels. I truly believe that we are all loved equally in the eyes of God. That grace is abundantly given to every single one of us. How can there be a first and last in that? And how do we measure first and last, anyway? Power, status, money? Lives touched, lives saved, lives damaged? The idea that first and last is really more about how we feel in life right now really spoke to me. I have seasons in my life filled with struggle. I have days that are hard to get through. And there are seasons filled with joy. Days where I celebrate all day long. When I struggle, the Holy Spirit has always delivered a "first" to help me through. When my days are hard, I am blessed to have others around me who pause from the "firstness" to take time to reach me where I am and help me back up. When I celebrate, I am given opportunities to reach out to others who may be struggling. When I have days of joy and strength, I find it so easy to be strong for someone else. To let my shoulders be where their tears may fall. The first shall be last and the last shall be first. And that's when we all end up equal, right? That's where we find balance, right? First and last and last and first. Right here. All around us. Today. Where are you right now? Are you feeling last, lost, struggling? Are you strong, joyous, content? How can you help someone else? Who can you reach out to so you aren't alone in your "lastness?" 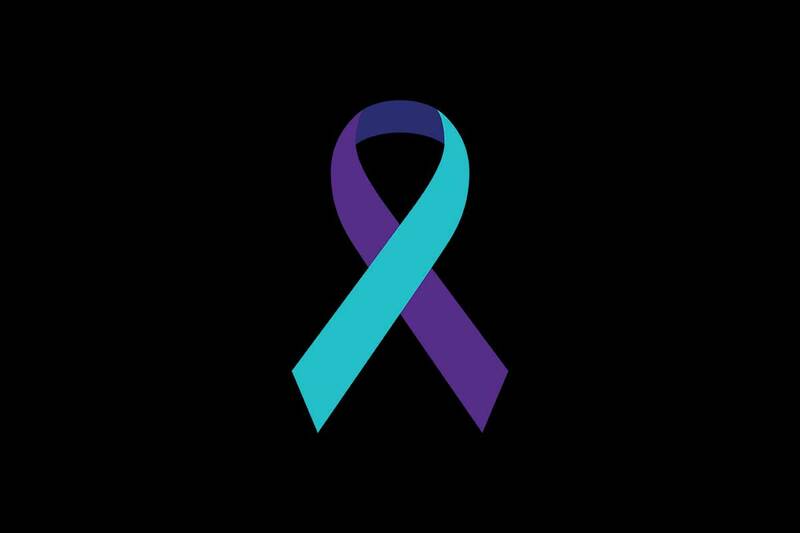 We were also given the opportunity to take a purple and teal ribbon - a sign that I'm willing to be your strength if you're feeling so very last and lost that you just can't do it anymore. I'm in a season of First. Let me pull you with me. Let me offer you my shoulder. Let me be the ear and heart that hears you. Let's be First and Last together. @MilkBone Has #TreatsForAll This Halloween! Open Your Eyes. And Your Heart.